Founded in Lviv in 2012. The founders of the group are: Evgeny Samborsky, Anton Varga, Yuri Bilej, Pavel Kovach, Stanislav Turina, Oleg Perkovsky. The main staff for the time of projects are joined by other artists. The holders of the PinchukArtCentre 2015 Main Prize and the First PinchukArtCentre 2013 Special Prize. The group's work is based on researching issues of interaction and communication between people, artists, situation and space. Residents of BIRUCHIY in 2015. Born in 1988 in Uzhhorod, Ukraine. He studied at the Uzhgorod Art College named after A.Erdely and the Lviv National Academy of Arts. In 2012 he received a scholarship of the Minister of Culture of Poland "Gaude Polonia". Lives and works in Lviv, Ukraine. Born in 1989 in Uzhhorod, Ukraine. He studied at the Transcarpathian Art Institute and Kharkov State Academy of Design and Arts. He is engaged in painting, installation, designing information objects. Lives and works in New York, USA. Born in 1987 in Uzhhorod, Ukraine. He studied at the Uzhgorod Art College named after A.Erdely and the Lviv National Academy of Arts. In 2012 he received a scholarship of the Minister of Culture of Poland "Gaude Polonia". 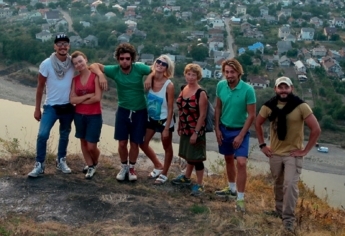 Winner of the competition of young Ukrainian artists MUHI 2012 (2 nd place) Lives and works in Lviv, Ukraine. Born in 1988 in Makeyevka, Donetsk region, Ukraine. He studied at the Lviv National Academy of Arts. The participant and co-founder of the team ZKD (2006), a member of the club black circle club (2010). Lives and works in Mukachevo and village Pavshino, Ukraine. 2016 Curators of the project "Degree of Dependence", Galeria Awangarda BWA, Wroclaw, Poland. 2012 Your store, a project working on an ongoing basis. Open gallery, a project working on an ongoing basis. 2017 Open Group. Due to the circumstances, Аrsenal gallery, Białystok, Poland. 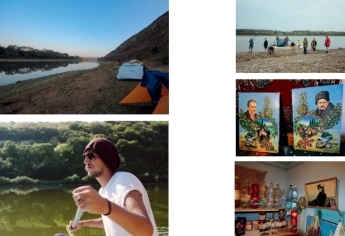 2015 1000-km View.Part I, The School of Kyiv – Kyiv Biennial 2015, Closer art centre, Kyiv, Ukraine. 2014 Ars longa, vita brevis/documentation, Dzyga gallery, Lviv, Ukraine. Where is my gallery?, Karlin Studio, Praha, Czech Republic. 2013 The "One N *", Detenpyla gallery, Lviv, Ukraine. Place, Closer art centre, Kyiv, Ukraine. Between us, Bottega gallery, Kyiv, Ukraine. 2017 Attention! Border, Аrsenal gallery, Białystok, and Labirynt gallery, Lublin, Poland. Future Generation Art Prize. Venice 2017", 57th Venice International Art Exhibition - La Biennale di Venezia, Venice, Italy. Future Generation Art Prize shortlist exhibition, PinchukArtCentre, Kyiv, Ukraine. 2016 Imagination. Reality, National Art Museum of Ukraine, Kyiv, Ukraine. 2015 PinchukArtCentre Prize shortlist exhibition, PinchukArtCentre, Kyiv, Ukraine. Pavshyno Kunstverein, Badischer Kunstverein, Karlsruhe, Germany. Air sn Zuiddoost, CBK Zuidoost, Amsterdam, Netherlands. Hope!, Ukraine National Pavilion at the 56 th International Art Exhibition in Venice - La Biennale di Venezia, Venice, Italy. Dispossession, organizer Wrocław European Capital of Culture 2016, an official event on the 56 Venice Biennale, Venice, Italy. 36 shots in the form of bright blue balloons that open up in the skies into splendid green-violet peonies, art center Ya Gallery, Dnipro, Ukraine. 2014 Zahoplennya, Izolyatsia Foundation, Kyiv, Ukraine. VI long-term project "Temporary exhibition", Korydor gallery, Uzhhorod, Ukraine. If only flies saw the show, does it mean that it actually happened?, Another Vacant Space, Berlin, Germany. 2013 Pinchuk Art Centre Prize shortlist exhibition, PinchukArtCentre, Kyiv, Ukraine. 2012 Contemporary Art Week, Lviv, Ukraine.